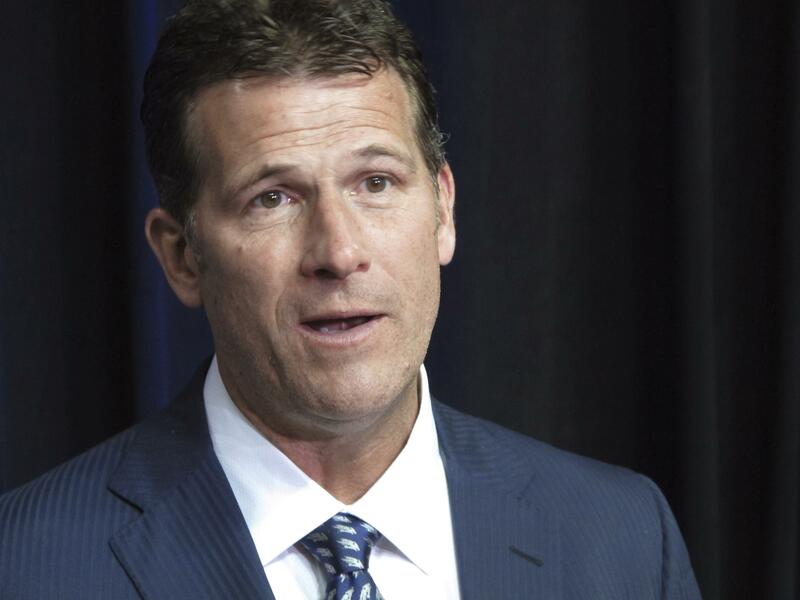 RENO, Nev. – New Nevada coach Steve Alford said he’s hungry for the chance to take the Wolf Pack to the next level despite the loss of so many stars from this year’s NCAA Tournament team. Alford got a 10-year deal and he said he intends to finish his career with the Wolf Pack. “They’re in it for the long haul and I’m in it for the long haul,” he said. Alford is returning to the Mountain West Conference, where he had some of his biggest successes. He spent six seasons at New Mexico, leading the Lobos to the NCAA Tournament three times before moving on to UCLA. He went 155-52 with the Lobos. Alford had some early success at UCLA as well, taking the Bruins to the Sweet 16 three times during his first four seasons. UCLA lost in the First Four in 2018 and struggled last season before Alford was fired on New Year’s Eve. Alford was 124-63 at Westwood. He also coached at Iowa and Missouri State after a collegiate career at Indiana and four NBA seasons. Alford said he loves the Mountain West. “This is a league that in six years in New Mexico I had a lot of fun in, was able to coach a lot of good players who have gone on to play at a high level and win,” he said. Alford said his offense will be up tempo with plenty of ball movement. While he switched between zone and man-to-man defenses at UCLA, he said he will likely return to the style he employed at New Mexico, where he used a man defense nearly all the time. Alford said his disciplined coaching style follows in the footsteps of his father, who coached him in high school, and his former college coach, Bobby Knight. “It’s not demeaning, but it’s tough, it’s firm,” he said. Published: April 12, 2019, 3:53 p.m. Updated: April 12, 2019, 5:28 p.m.